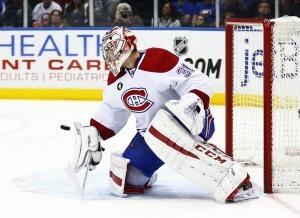 Montreal Canadiens: Poised to Miss Playoffs in October? Canadiens Poised to Miss Playoffs in October? The horrendous start to the 2017-18 season for the Montreal Canadiens can be summed up best by four points. It’s not just that, now six games into the season entering action Thursday night, they don’t even have four actual points and have four individual regulation losses (five in all at 1-4-1). It’s that it’s not even November 1st and, tied for last place in the Eastern Conference, they’re already over four points out of the playoffs. The wild-card Ottawa Senators have five more points, same as the third-place-in-the-Atlantic Detroit Red Wings (all with six games). It may not seem like such an insurmountable lead at this point, but the November 1st date is significant. That’s because, according to stats compiled by Elliotte Friedman, only three of 32 total NHL teams at least four points out by that date between the 2005-06 and 2011-12 seasons were able to reach the postseason. It’s obviously a new era, as Friedman had only taken into account the years between the lost NHL season of 2004-05 and the latest lockout of 2012-13. It may also be more of an indictment of the loser point than the talent levels of each of the 29 other teams. With the loser point and teams out of the playoff picture unable to gain significant ground on the ones ahead of them, it becomes harder to recover after a bad start to the season. The Canadiens are already seeing the effects of the loser point, without any regulations wins to their credit and their lone victory coming against the just-as-bad Buffalo Sabres. That’s another hurdle they’ll have to keep in mind: the tie-breaking procedure, with shootout victories not counting come the end of the season. Needless to say, in spite of the Canadiens regularly outshooting the opposition, there are no moral victories to be had right now. They need actual ones. There may be positives the Canadiens can focus on, but the time to panic has arrived. Sure, puck luck or a lack thereof may be the main cause behind the bad start, but that won’t matter if the Canadiens can’t find a way to snap out of their funk. Every team tends to go through a stretch like this over the course of an 82-game season. Even if it’s only six games, the Canadiens have chosen the absolute worst time to slump it up. 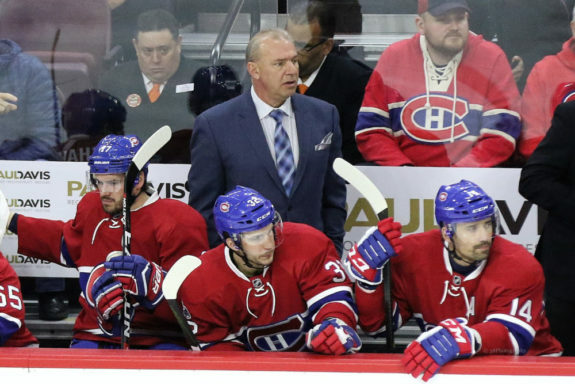 In Defense of Michel Therrien? Maybe fans have gotten spoiled by the good starts to the season under head coach Michel Therrien. They did after all go an insane 34-9-2 in October under him during his second stint here. Under these current circumstances, it’s easy to forget that it’s traditionally not how you start but finish a race. And, under Therrien, without fail, the team fizzled out, whether it was a prolonged mid-season swoon or an embarrassing playoff loss to end the season. For example, in 2013, they lost 6-1 in an upset Game 6 loss to the Ottawa Senators. In 2014, they mustered just five shots on goal in the third period of Game 6 against the New York Rangers, ultimately losing by a single goal. In 2015, they mustered one more shot on goal in the third period in a Game 6 loss to the Tampa Bay Lightning that wasn’t nearly as close as the 3-1 final score indicated. They got outplayed thoroughly in each of those games. 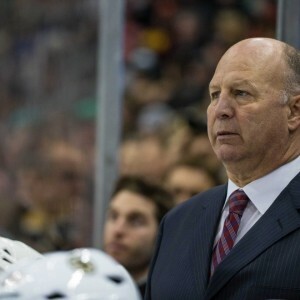 It’s undeniably true that the same can technically be said of current-head coach Claude Julien, whose charges went out with a whimper against the New York Rangers last spring. However, if there’s one thing that five seasons of Therrien should have taught fans it’s that dumping and chasing the puck over 82 games tends to wear players down. No, Therrien was not the answer. He was never going to be. Julien entered this season implementing his new system (only tweaking Therrien’s upon his hiring last season due to lack of time). The results have been so-so to be kind, with analytics indicating the Habs should be doing much better than they are. Goaltender Carey Price isn’t stopping pucks at anywhere close to his regular superhuman clip (.920 in his career). He’s hardly stopping them with any regularity at all (.885 this season). Forget Vezina Trophy quality. That’s not even NHL quality. Meanwhlie, the team in front of him isn’t scoring goals, with just 9 so far on 219 shots for a 4.1% shooting percentage (which is under half the 9.11% league average). So, it’s clear that the team just isn’t gelling as a whole. Is this on Julien, who, for the second straight season, is seeing his team struggle to score in spite of outplaying the opposition. That’s why Julien was fired by the Boston Bruins, after all. Alternatively, is it on general manager Marc Bergevin? It’s been his roster decisions that have put the team in a precarious situation, in which they must win now… just without the players they need to do it. The move to play hardball with Andrei Markov despite having now over $8 million in cap space was a particularly curious one. Consider it a perfect storm if you must, but those are the real four points the Canadiens need to sort out. And the point at which they need to figure them out? It’s coming up fast. October is nearly over.